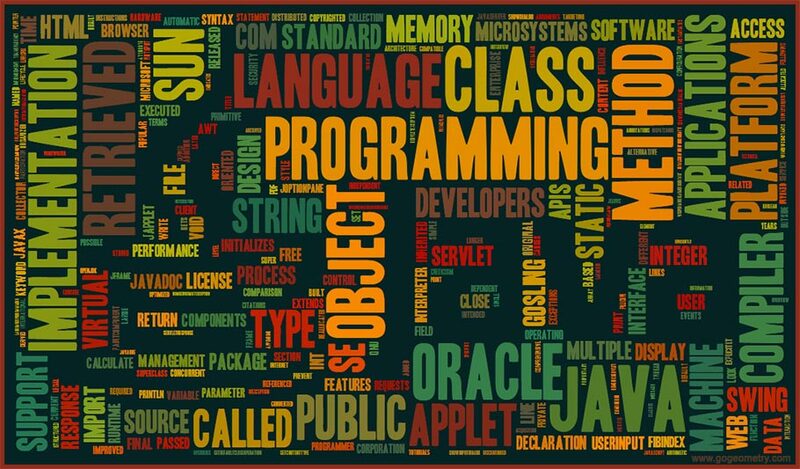 Word Cloud of Java (Programming Language), Oracle. Software generator: Tagxedo. Elearning. Here are the most-used words from the Wikipedia article: Java_(programming_language), retrieved Dec 14, 2016. The larger the word, the more it was used.